Three sizes to choose from; Toddler 3 to 15 Kg. Child 15 to 30 Kg and Junior 30 to 40 Kg. 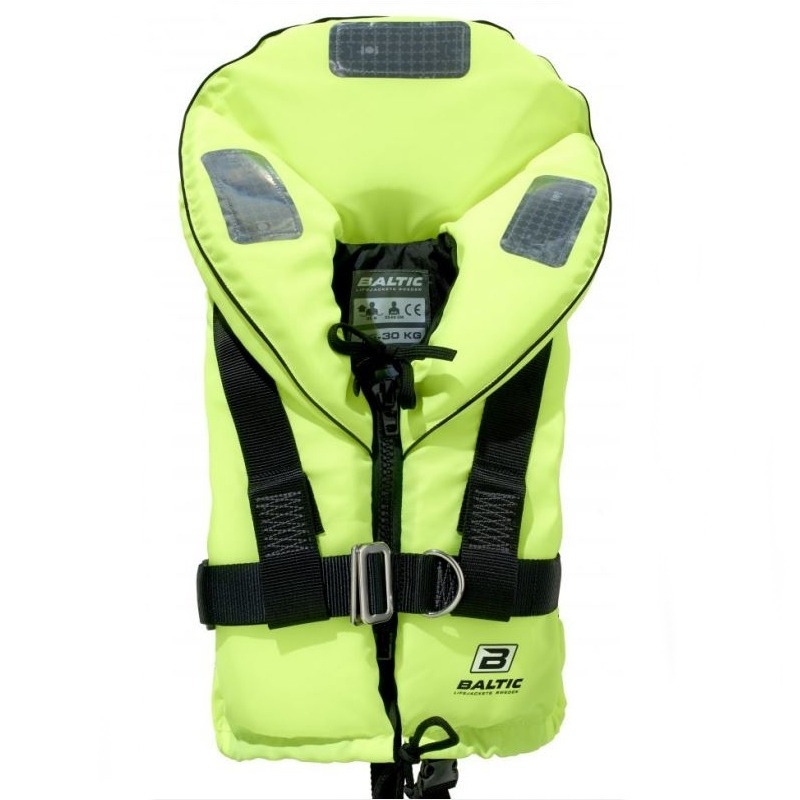 This lifejacket is fitted with an integrated Safety Harness tested and approved to EN ISO1095/ EN ISO 12401. Manufactured in high visibility fabric with retro-reflective patches, lifting handle under the collar, whistle, nylon front zip, adjustable waistband, top, and bottom ties and crotch strap (Two positions on the Toddler 3 to 15 Kg size). The Ocean 1299 Toddler size has the Tether attachment point at the back and the Child 15 to 30 Kg model has attachment points on the front and back. Care Instructions: After use, the lifejacket should be rinsed in fresh water and hung up to dry and stored in a well-ventilated area away from direct sunlight. Wash only by hand in lukewarm water using a mild detergent.